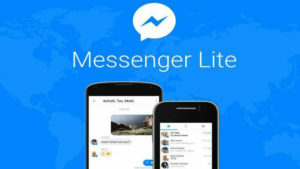 Facebook has launched a new app called ‘Messenger Lite’ a separate version of Messenger for Android. Messenger Lite comes with the almost all features of Messenger targeted for internet market with slower internet speed. With Messenger Lite, users can chat; send photos to anyone using Messenger or Messenger Lite. Messenger Lite has been launched to help people stay connected regardless of network conditions and storage limitations on their android devices. The app is 10MB in size so it’s easy to install and quick to load. It includes features of Messenger’s like messaging, sending and receiving photos and links and receiving stickers. Messenger Lite uses the same bolt logo as Messenger, but there aresome changes with colors. The bolt is blue with a white chat bubble background. In 2015, Facebook had launched Facebook lite to help people experience faster internet on slower mobile networks and Android phones. For now, it will be available in Kenya, Tunisia, Malaysia, Sri Lanka and Venezuela. It will be launched in more countries in the coming months.